Save the date for Fishtown FestivAle on Saturday June 8, 2019! 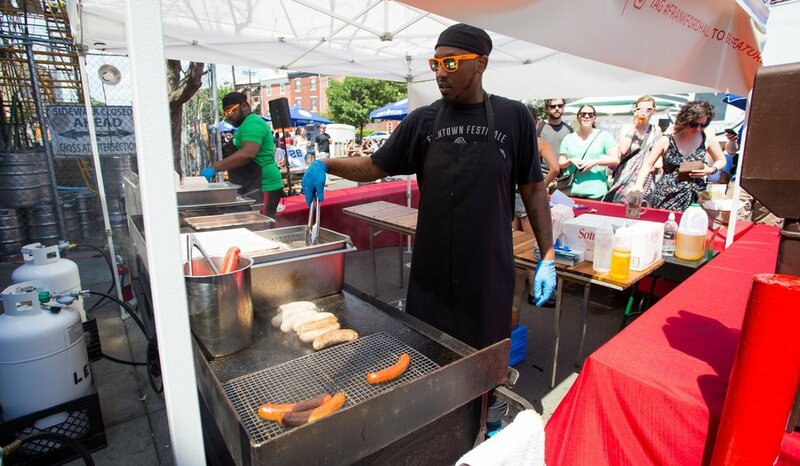 This day-long family-friendly street festival takes over Frankford Avenue between Girard and Oxford and fills the street with craft vendors, activities for the kids, street food, cocktails and of course beer! Now in its 8th year, the event highlights the area’s rapidly growing restaurant and nightlife scene, local artists and designers, creative firms and retailers. Event is rain or shine! Fishtown FestivAle has expanded to 5 blocks with 3 stages featuring live DJs, Play Arts kids activities and family area at Lutheran Settlement House, carnival games and 70+ vendors including Fishtown Flea, and dozens of local restaurants and food trucks offering offering street food and drinks! Stay tuned for more info and follow us @fishtownfestivale for updates! Fishtown FestivAle is hosted by the Fishtown Co business association. Sponsorship opportunities for 2019 are available, please email fishtownco@gmail.com. Special thanks to Paul Carpenter for the above map creation. Please enjoy responsibly. Special Thanks to our 2019 Sponsors (list in formation)!